I originally made this recipe for Michael’s surprise birthday dinner. I cooked a Four Course Meal and this pasta dish was absolutely delicious. I knew I wanted to make it for my family reunion potluck but I wasn’t sure how it would work camping. I decided to try and make it into a cold pasta salad. The one dilemma: I remembered the leftovers being rather dry the last time I made this dish. 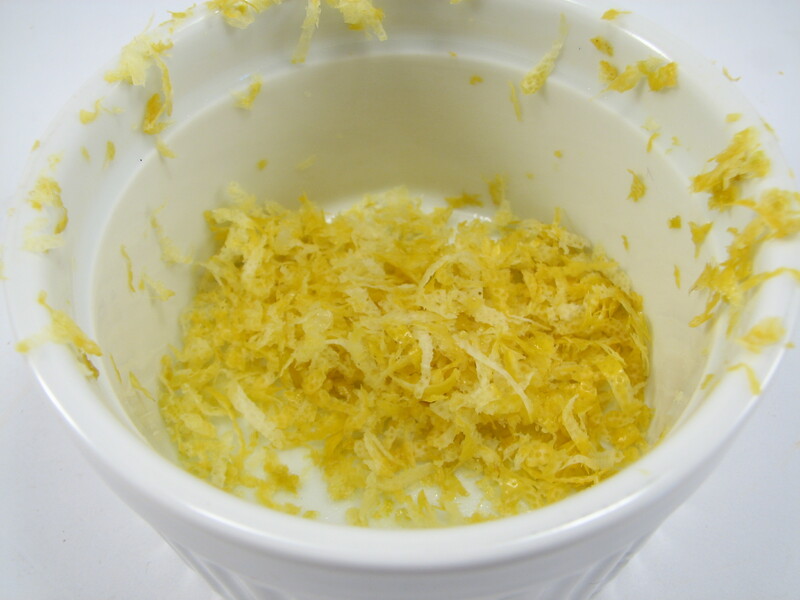 I asked around and the common suggestion was to use either yogurt or olive oil. I thought olive oil would be a better thing to moisten the pasta salad without adding another flavor to it like yogurt or mayo might do. 1. Bring a large pot of salted water to a boil. While the water is coming to temperature, prepare an ice bath in a medium sized bowl. 2. Trim the broccolini of it’s rough ends and then slice it into bite sized pieces (about quarters). 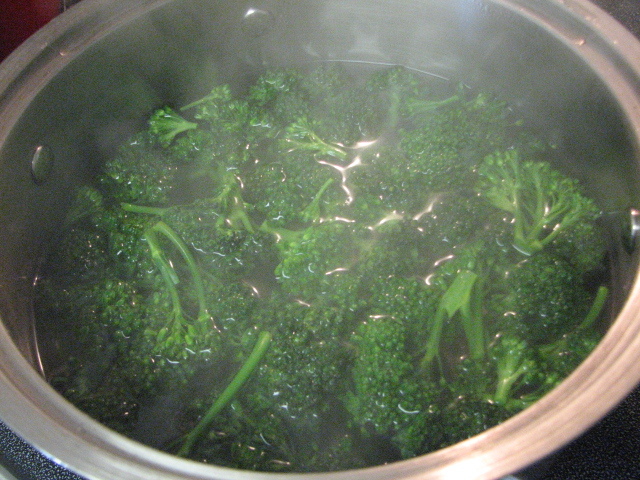 Put the broccolini in the boiling water and let it cook for about 1-2 minutes or until bright green and just tender. 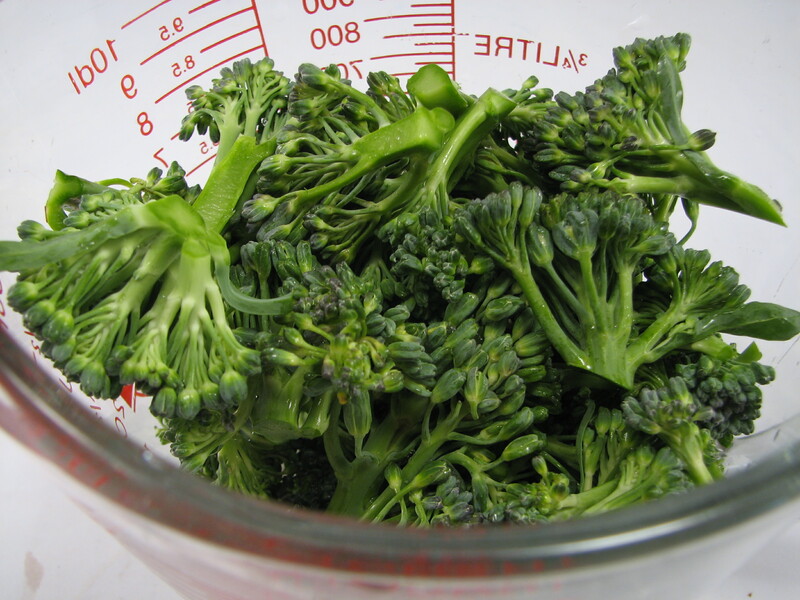 Remove the broccolini right away and plunge into the Ice bath. 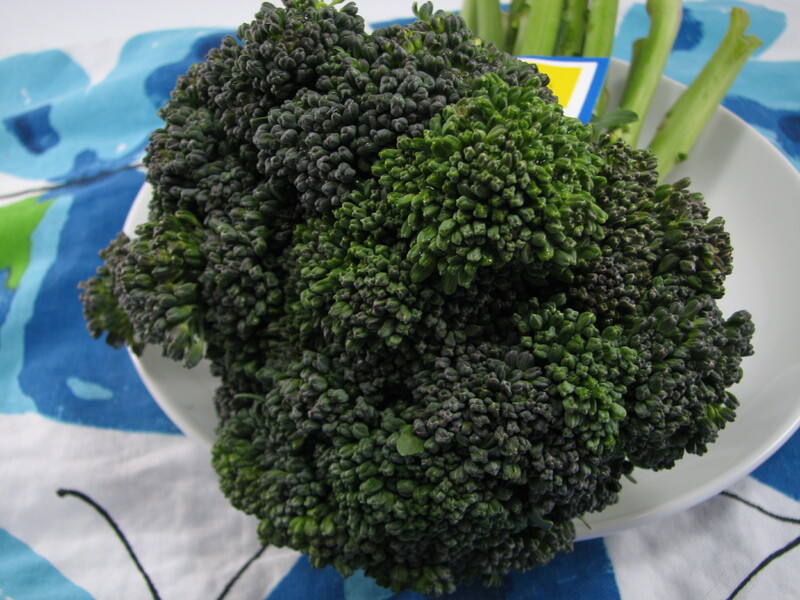 When the broccolini has cooled, lightly dry it and set it in a bowl. 3. Add the lemon zest to the broccolini. 4. Add the goat horn peppers. 5. Boil the pasta in the same pot of water according to the package directions. 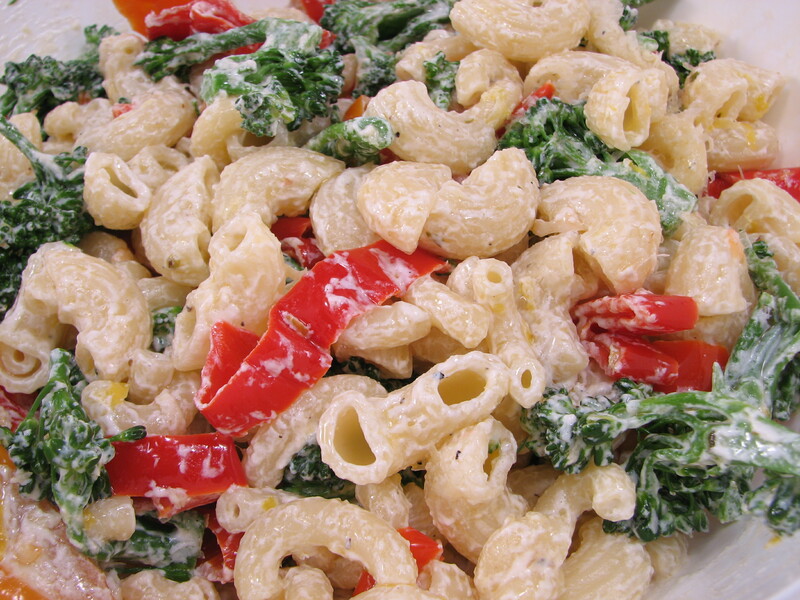 Before you drain the pasta, reserve about ½ cup of the salted water. Add the pasta to the bowl and add the goat cheese to the hot pasta. If you need extra moisture, add some of the reserved pasta water. 6. Toss until everything is really well combined and the goat cheese has melted into the pasta. 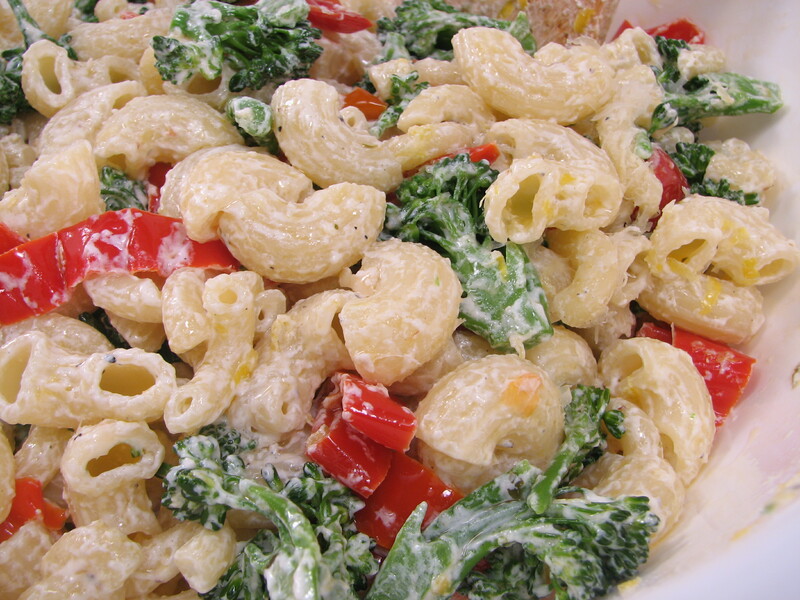 Season to taste and serve with finely shredded parmesan cheese on top. On Friday I bought all the ingredients and cooked the pasta early to let it cool off a bit before doing the rest of the dish. 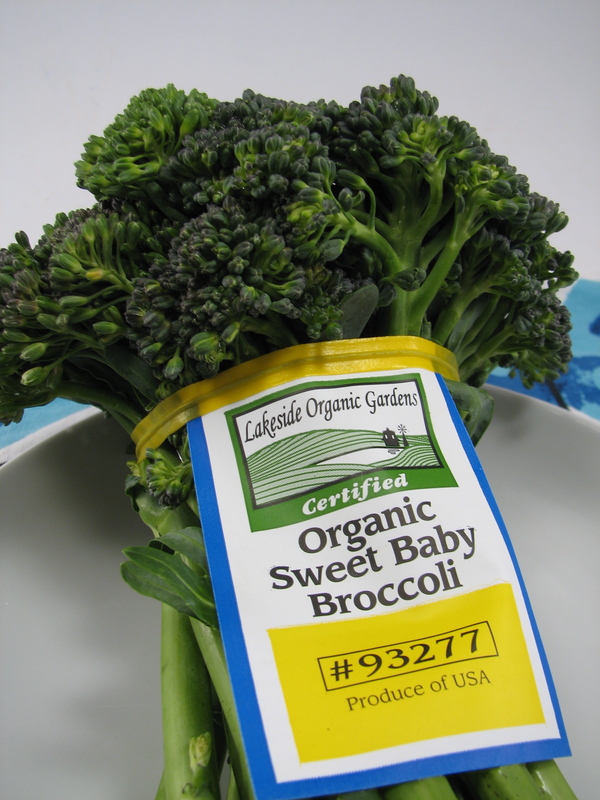 I had to go to New Seasons to find the broccolini. I think it’s strange that it’s so hard to find at regular stores. I chopped and then blanched the broccolini. While the pasta and broccolini were cooking, I zested one lemon and then got the peppers and oil ready. 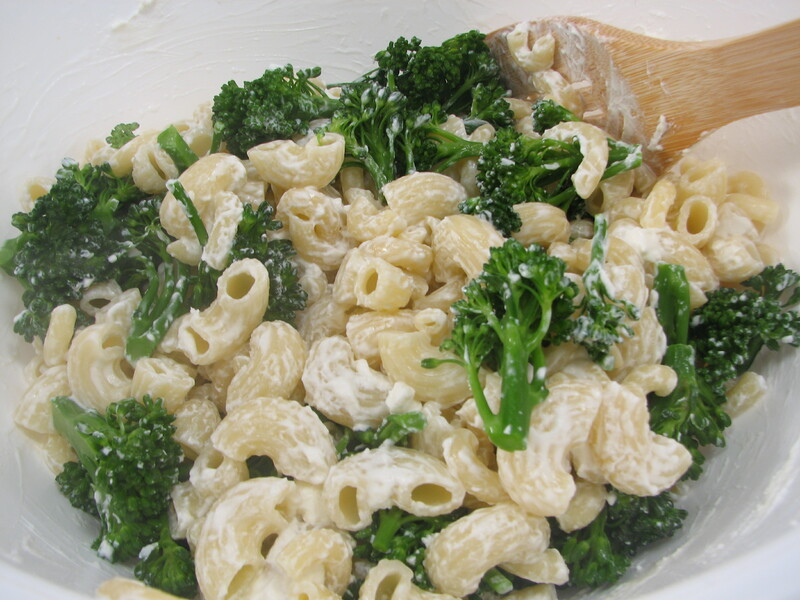 When the pasta was done, I mixed it with about 1/2 a cup of the salted pasta water and some goat cheese, then mixed in the broccolini. 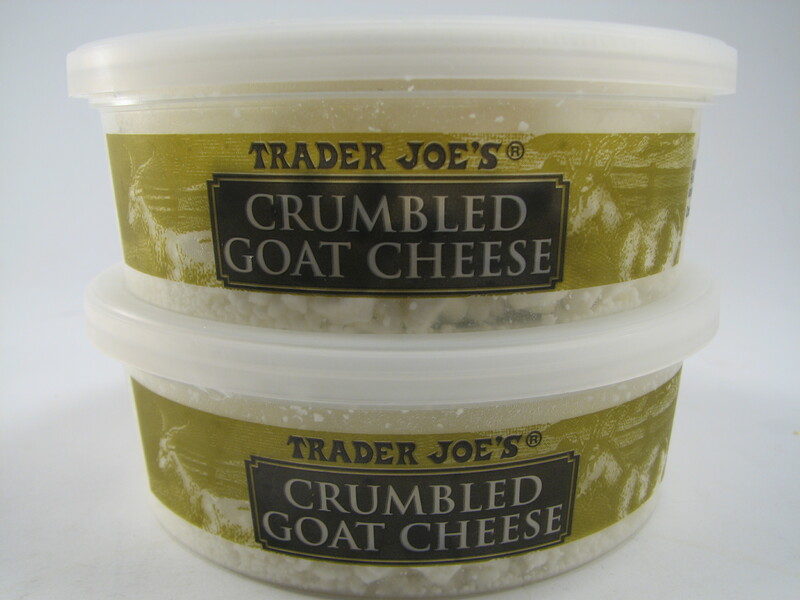 Next I added one and a half container of the Goat Cheese (from Trader Joe’s). The goat cheese melted into the pasta immediately. I saved the remaining 1/2 container of goat cheese to sprinkle on top at the potluck. I also took a small container of olive oil with me camping to mix right before serving. 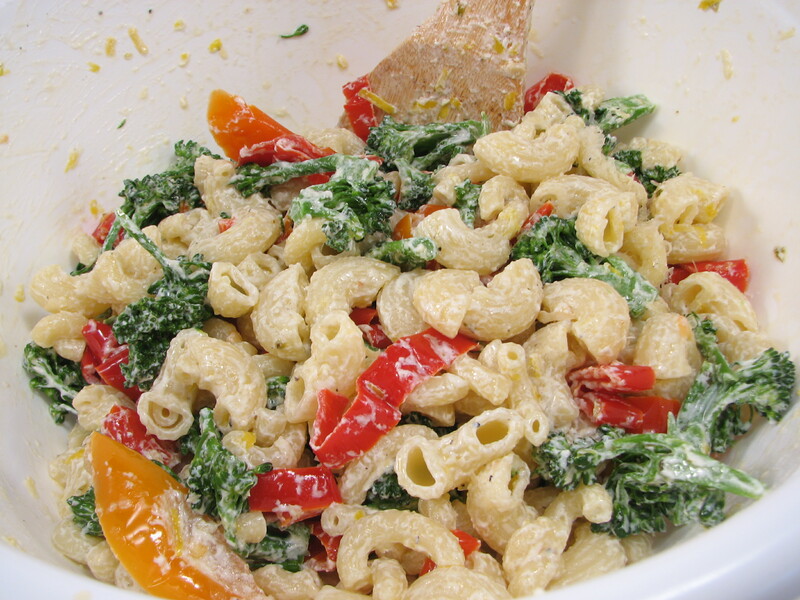 I added salt and pepper and then grated parmesan cheese on the pasta dish before cooling it in the fridge. Everything goes together well with this dish. All the flavors compliment each other. And the peppers are amazingly spicy. We’ve been putting the peppers on our homemade pizzas and they really do make the pizza! 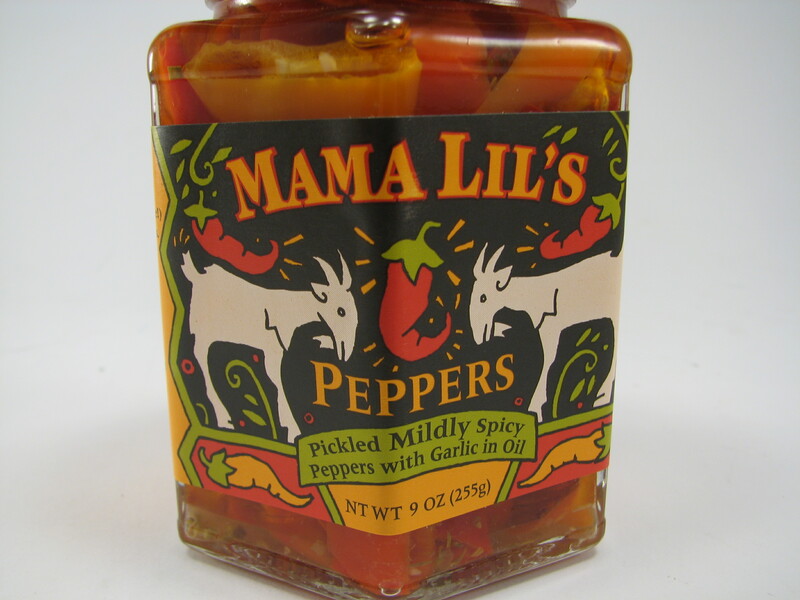 I am obsessed with these peppers. The verdict: the salad was pretty good as a cold dish. It worked well for the family reunion potluck. I used some olive oil to moisten it before I put it out and added some remaining goat cheese crumbles on top. It was tasty but still not the same as the original hot recipe. QUESTION: Do you ever change hot recipes to cold recipes? What’s your trick? Wow – that looks really good! I don’t eat too many cold salads like that. I don’t know why, but I just never was that fond of them. Hot salads I love! I prefer warm pasta salads too.